TORONTO – Protect-A-Bed will unveil the two new pillow lines as well as customisable displaces and special pricing on sleep necessities for attending retail buyers at this weekend’s Canadian Furniture Show, which will open at the International Centre here this Friday morning (25 May 2018). The two new pillow lines, each with integrated cooling fabrics and five fill variations are designed to deliver the specific support, comfort and adjustability each customer needs. Each of the five fill variations – including Classic, Memory Foam, Memory Foam Clusters, Classic Hybrid (innerspring), Memory Foam Hybrid (innerspring) – is available in three firmness levels and two outer fabric options. 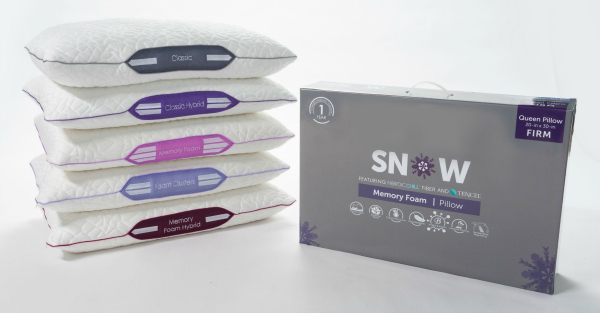 Its Snow brand pillows contain the company’s Nordic Chill fibre to provide both cooling and comfort while its Crystal brand features a blend of North Chill and Tencel fibres for cooling and moisture wicking properties. 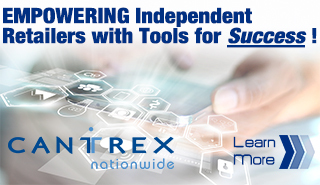 Both are also fully integrated with the company’s SleepTailor system. During CFS, Protect-A-Bed will display a wide range of its sleep accessories in booth 1307, located in Hall 1 of the International Centre.